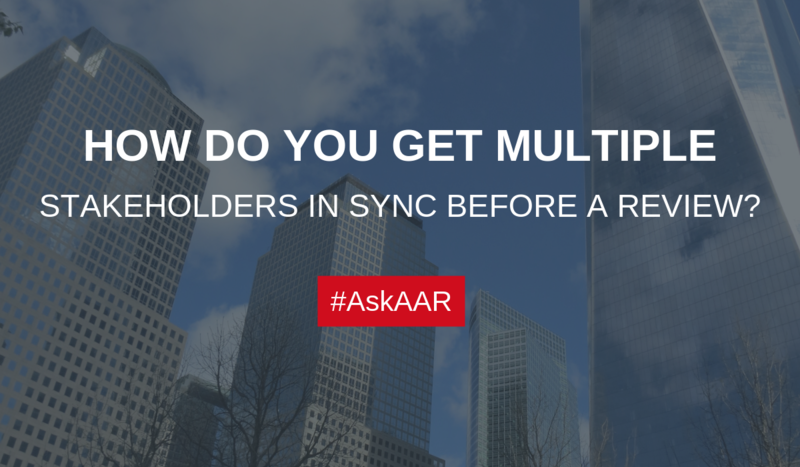 How Do You Get Multiple Stakeholders In Sync Before A Review? There have been many reviews that AAR Partners has managed where there are multiple stakeholders and constituencies that need to be involved, feel that they have a voice and have their needs met too with the new agency. So how do you ensure that everyone’s needs are met and everyone is satisfied with the process, let alone the outcome of the review? It’s a pretty basic answer. The way an agency needs a creative brief before putting pen to paper, the review committee must have a pitch brief detailing everything that is needed and vital for a new agency relationship to be successful. Everything from cultural questions to budget questions to marketing goals to creative expectations must be crystal clear. And most important…The entire search committee must review that brief, sign off on it and forever hold your peace. At that point, you can then begin the agency search. Good luck with your agency search and if you need any guidance, think of AAR Partners! We’ve been managing agency review since 1980 and if we can help you too, we’d be delighted.